The elections are over. The brickbats, the betrayal, and bitterness have dissipated into stoic resignation, disagreement and acceptance of what has been depending on what side of the divide you are. 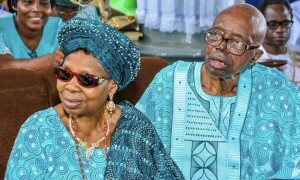 For the ultimate victor, especially in Ogun State, last Sunday was set aside for a special thanksgiving service held at the St James’ Anglican Church, Iperu-Remo, Ogun State. 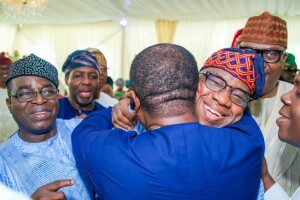 An excited Prince Dapo Abiodun, the billionaire businessman behind Heyden Oil and Gas, sure has cause to thank God for his victory. A peerless entrepreneur, he has supported two of his bosom friends, Otunba Gbenga Daniel and Ibikunle Amosun to be governor of their beloved Ogun State at different times.But when he made his own bid for the same office which Amosun would constitutionally quit in May this year after serving for two terms, the latter threw all decency to the wind and stopped at nothing to prevent his friend and benefactor from getting their party, the All Progressives Congress, APC, governorship ticket. 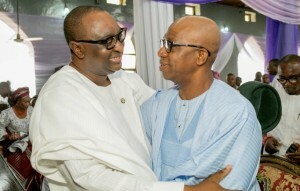 As fate would have it, Abiodun went ahead to win the ticket and a bitter Amosun roused a new party, Allied People’s Movement, APM, for his stooge, Adekunle Akinlade to contest. Had he stopped at that, perhaps the guiding creed of friendship would not have been so flagrantly desecrated. Amosun publicly said at different fora before and during electioneering, that Akinlade, not Abiodun, was his preferred candidate. And he vowed to work against his party, the APC, at the election. In all of these, the thoroughbred prince never engaged his friend, the incumbent governor, in any verbal exchange. 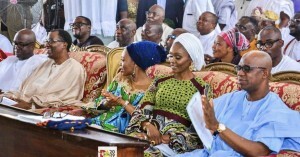 It wasn’t, however, the presence of his parents alone that gave Prince Abiodun joy, the number of top corporate players, high net-worth individuals, politicians and celebrities that stormed the reception ceremony held inside his expansive country home, Villa Emmanuel, was humbling. 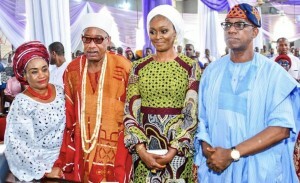 The communal town of Iperu buoyed and bubbled with excitement and expectation as the well-wishers trooped in to felicitate and fete with an illustrious son. For the natives, the years of neglect by successive governments are about to be corrected. 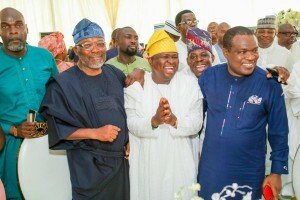 While for Ogun indigenes at home and abroad, a true technocrat and astute administrator with the right contacts and connections to really help the state harness the benefits of its proximity to Lagos has come.